David Mazower is the Bibliographer and Editorial Director at the Yiddish Book Center and the co-editor with Aaron Lansky of the Center’s English-language magazine Pakn Treger. He is the author of Yiddish Theatre in London (London, 1996, 2nd ed. ), and curated a major exhibition on that subject for London’s Jewish Museum. 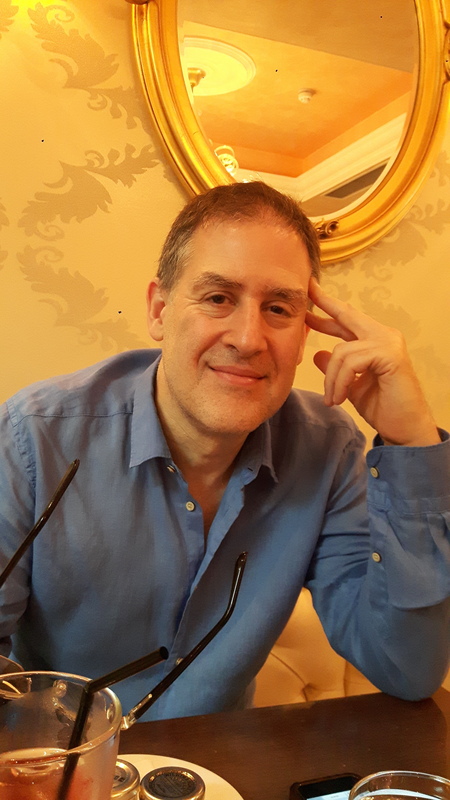 His articles on Yiddish culture, Yiddish book publishing, British Jewish history and Jewish art have appeared in the BBC News Magazine, History Workshop Online, The Mendele Review, Pakn Treger, Jewish Socialist as well as the Digital Yiddish Theatre Project. He is the great-grandson of the Yiddish writer Sholem Asch, is closely involved with the Szalom Asz Festival in Kutno, Poland and contributed to the volume Sholem Asch Reconsidered, (New Haven, Beinecke Library, 2004). He is a contributing editor to the Jewish Quarterly and co-editor with Aaron Lansky of Pakn treger, the journal of the Yiddish Book Center. Current projects include a biography of the Yiddish actress Feni Vadi-Epshteyn. In this tale of Łódź and London, David Mazower remembers the Yiddish actor Harry Ariel and a life-changing association with theatre historian Zalmen Zylbercweig. We Brits have been sending some of our finest actors across the Atlantic for as long as anyone can remember. Charlie Chaplin, Vivien Leigh, Kate Winslet, Christian Bale… the list goes on and on. Every two years around this time I visit the Polish town of Kutno, for the Jewish festival named after my great-grandfather, the Yiddish writer Sholem Asch. Think of the pulsating energy of Motown’s dawn in Detroit. Or the soaring sounds of early jazz in New Orleans. Some photographs just make you smile. This is the story behind an exquisite portrait of a Yiddish dramatist. I bought this photograph on eBay, intrigued by the combination of the Cairo photographer’s mark and the Yiddish language banner.